For the next 27 years, Dan led Bay Cove’s growth from a single alcohol detoxification program to an agency that, at the time of his retirement in 2001, boasted more than 100 programs and 1,600 staff, and had grown to offer services to individuals with developmental disabilities, children with developmental delays and adolescents with special educational needs. Dan established Bay Cove’s guiding principles and many of the hallmarks for which Bay Cove came to be known as an agency—such as leading the charge for people with mental illness to receive their services in the community, and Bay Cove’s willingness to offer services and treatment to consumers with the most complex diagnoses, who other organizations often refused to admit. In 2002, Bay Cove’s new state-of-the-art site for our Early Intervention program and the Small Wonders Nursery School was opened as the Daniel C. Boynton Child Development Center in his honor. In addition to leading Bay Cove, Dan was a statewide leader in the human services field, including holding an active role during the formative years of the Massachusetts Council of Human Service Providers (MCHSP). He served as the MCHSP’s President from 1990-1992. Dan remained active with Bay Cove from 2001-2011 as a part-time consultant, advisor to management and an advocate for the people we serve. He is currently a member of Bay Cove’s Board of Advocates. Stan Connors joined Bay Cove Human Services in 1979, hired by Dan Boynton as the Associate Director of an agency that was expanding and growing by leaps and bounds. 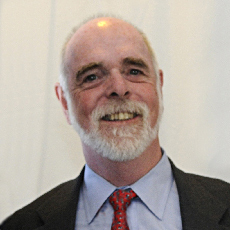 Originally brought in to oversee all services for individuals with developmental disabilities, Stan quickly became an integral part of Bay Cove’s continual advancement, and a partner in the creation of a multi-service organization that would eventually provide a complete range of mental health, developmental disabilities and addiction services to Boston-area residents. Stan was promoted to Executive Director of Bay Cove in 1985 and, following Dan Boynton’s retirement in 2001, Stan became Bay Cove’s President & CEO. He would lead the agency for 10 years during a continued period of growth, including expansion into elder services with the acquisition of Kit Clark Senior Services in 2006. Stan served in a variety of statewide leadership capacities, including Chairman of the Board of the Massachusetts Council of Human Service Providers (MCHSP), the Massachusetts Association of Rehabilitation Facilities, and what is now the Association of Developmental Disabilities Providers (ADDP). He was the recipient of the Richard J. Bond Executive of the Year Award from the MCHSP in 2011. 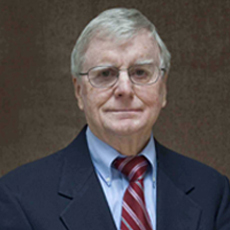 Stan retired as Bay Cove’s CEO in 2011, but remains an active supporter of Bay Cove, serving on the agency’s Board of Advocates. In 2012, a new Bay Cove residence designed to serve the most medically fragile individuals in the community opened in Revere, and was named Connors House in Stan’s honor. In 1974, psychiatrist Dr. Peter Randolph was a key figure in the founding of Bay Cove Human Services, and, over his decades-long association with the organization, his expert guidance was key to the agency’s remarkable growth and development. Dr. Randolph was Director/Superintendent of the Bay Cove Mental Health Center, a division of the Department of Mental Health. Dr. Randolph received his B.A. from Yale University and his M.D. from Harvard Medical School. He did his psychiatric residency at the Massachusetts Mental Health Center and was certified in psychoanalysis by the Boston Psychoanalytic Institute. He is a past Board member of the Cambridge Community Foundation and the Institute for Child and Adolescent Development. For many years, he also taught adult psychiatry to psychiatric residents and psychology interns at Tufts. Today, he continues to maintain a small private practice of general adult psychiatry. Dr. Randolph was first elected to the Bay Cove Board of Directors in December of 2002, and served on the Board’s Quality and Risk Management Committee.